In celebration of Bob Dylan's The Original Mono Recordings box set—which contains, y'know, some of the greatest music ever set to tape, specifically mono mixes of Dylan's first eight albums—Sony Legacy has put together this funny little retro video on the importance and history of mono recordings. And because they like you so much, A.V. Club readers, they're letting us premiere it for you exclusively. So check it out below. 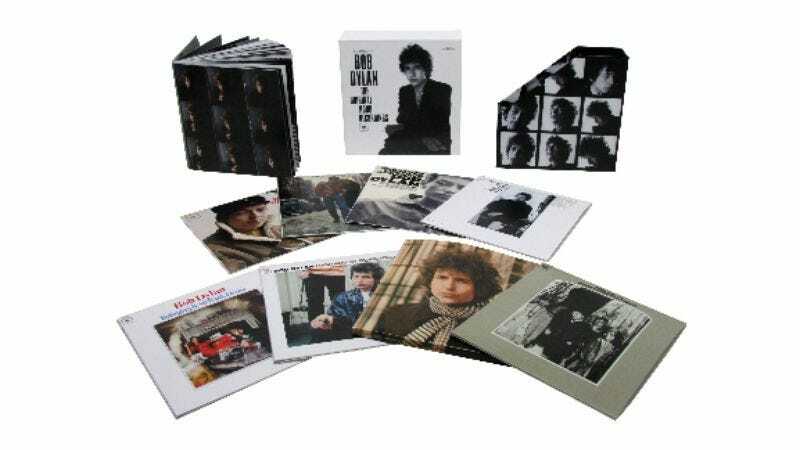 Oh, and not only does that box set come out tomorrow, but Dylan is also releasing the ninth edition of his Bootleg series, the excellent Witmark Demos 1962-1964. And psst, check this out: We have five copies of the Mono Recordings box to give away!